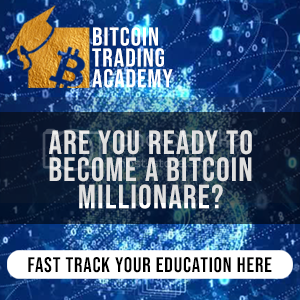 Bitcoin Trading Academy LLC is a wholly-owned subsidiary of ChineseInvestors.com, Inc. (OTCQB: CIIX). It joins the family of financial information and education websites run by ChineseInvestors.com, including Chinesefn.com, which covers the U.S. stock market, and NewCoins168.com, a cryptocurrency news destination. The subsidiary is under the direction of CEO Donald Meyers, who reports to ChineseInvestors.com, Inc. CEO Warren Wang. Meyers has a successful history as a currency trader for and advisor to banks and financial services groups and is well versed in currency trading technology. Bitcoin Trading Academy is headquartered on Wall Street in New York, NY. Its services are available online throughout the world and in person through live events in select cities in the U.S. and throughout Asia. The company’s mission is to provide the Chinese community worldwide with quality cryptocurrency education from a trusted source. With classes available in Chinese and English, Bitcoin Trading Academy is the premier cryptocurrency education resource for Chinese in countries around the world. The company’s educational series—Bitcoin Trading 101, 201, and 301—are intended to provide students with both the knowledge and practical know-how necessary to trade successfully and with confidence.